Google Assistant is the most used voice assistant for shopping processes such as finding products and making purchases at 13.9%.. In the Marvel Studios hit, “Avengers: Infinity War”, Thanos seeks to collect all six Infinity Stones, place them in a..
PwC’s report Prepare for the Voice Revolution contains a number of interesting findings. The data on voice shopping may top.. This morning Google announced a new plan to help retailers in the battle against Amazon and to help themselves in..
Amazon has found another way to leverage its acquisition of Whole Foods to get more Prime subscribers and Alexa voice..
New research from Salmat found that consumers in Australia are enthusiastic about shopping using voice commerce. Despite voice technology being at.. When the weather turns cold, dry skin can become especially problematic. 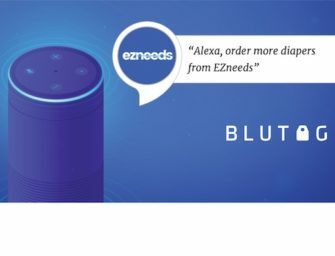 Enter Eucerin’s new Alexa skill. Adobe recently released its Holiday shopping predictions for online sales. Total U.S. online sales are expected to top $100 billion..